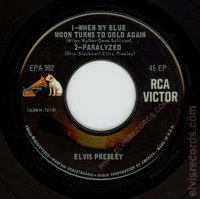 There are three variations for the copyright information bottom centered on the back. 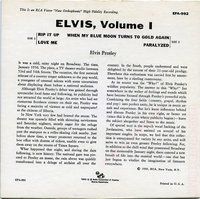 The fourth image contains overlays in high contrast of two different covers to detail the major differences between the two. 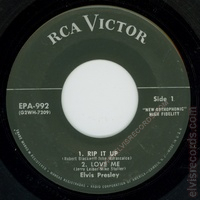 Bottom incorrectly reads Radio Corporation o fAmerica, © aligned with the fourth letter in vitalize and extends through the end of the line with the "s" in listeners. 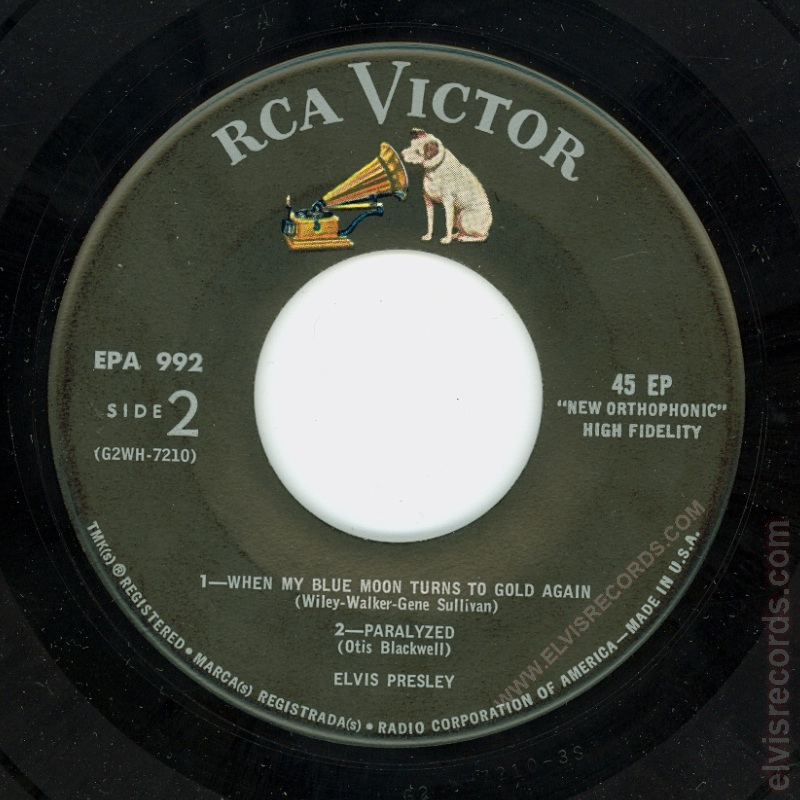 Disc: (10/1956)4 Black label, dog on top without horizontal line. 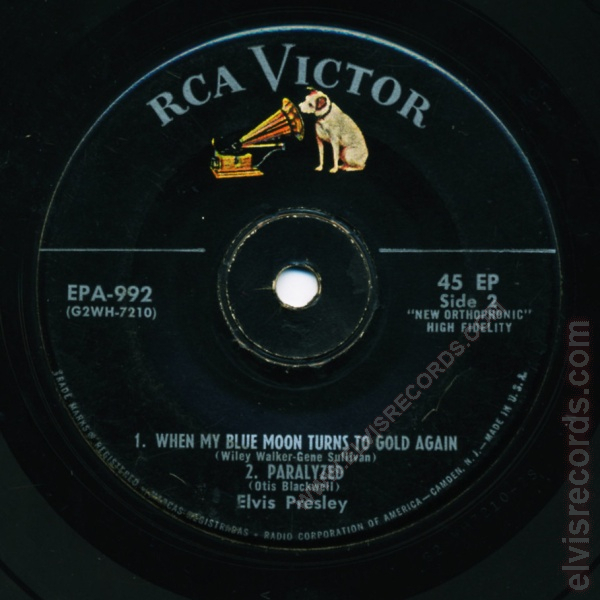 Side 2, PARALYZED is credited with Otis Blackwell. 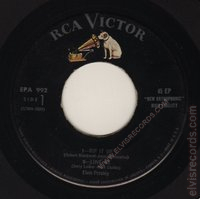 Disc: (10/1956) Black label, dog on top without horizontal line. 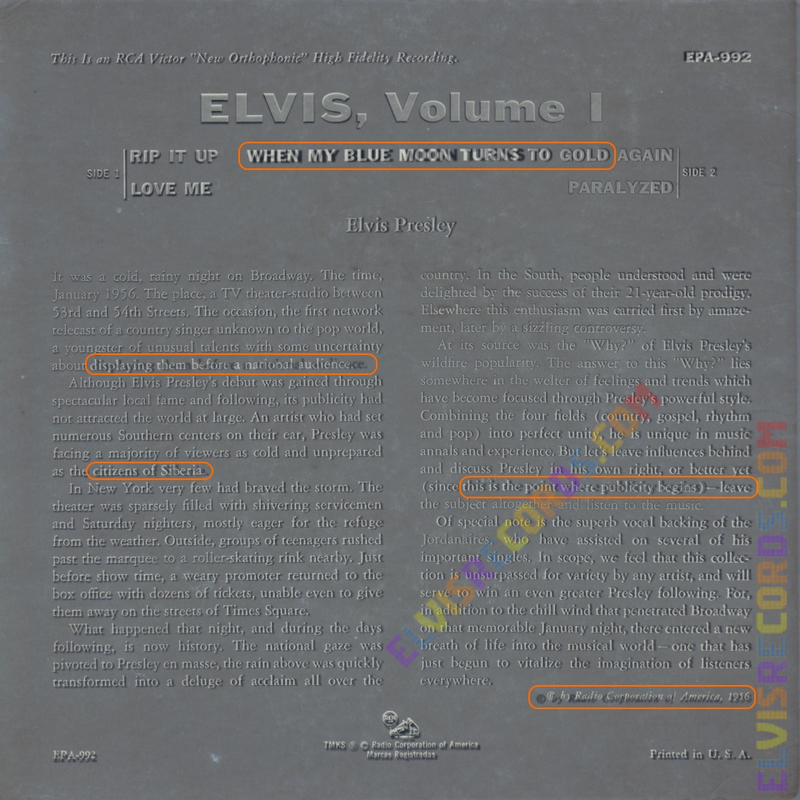 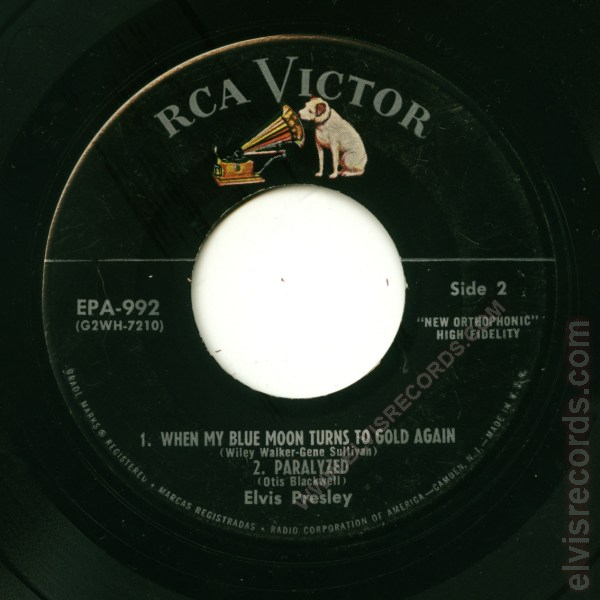 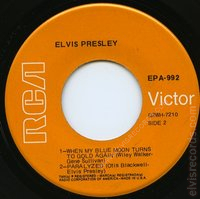 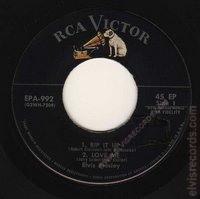 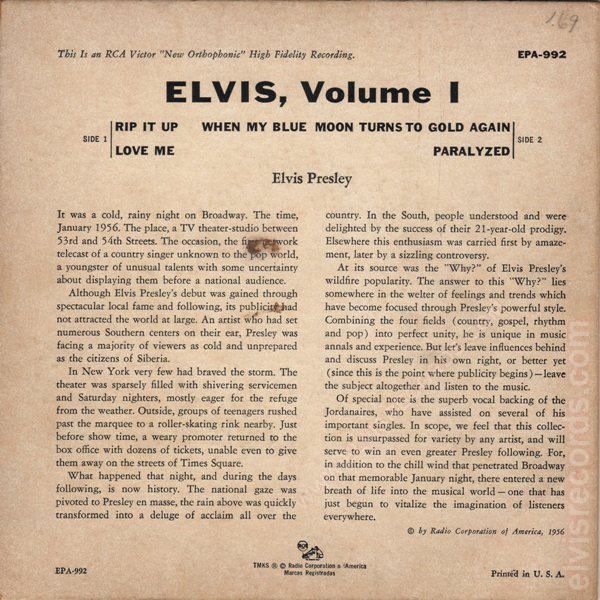 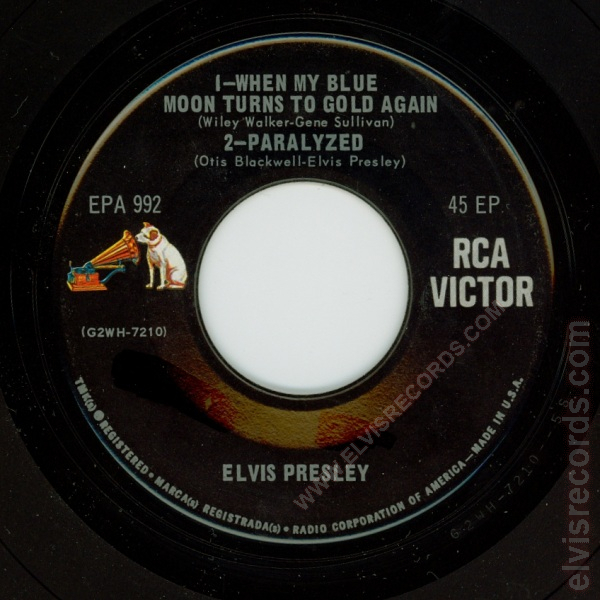 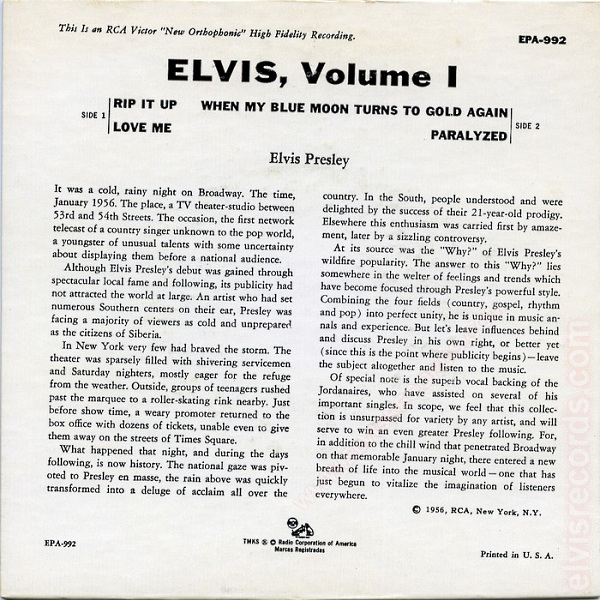 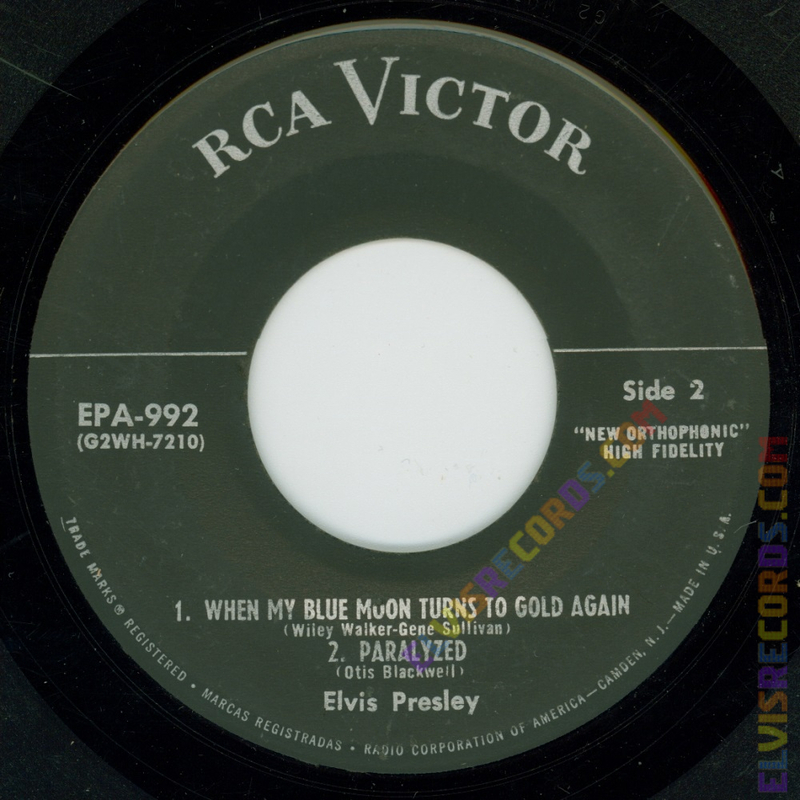 Side 2, PARALYZED is credited with Otis Blackwell - Elvis Presley. 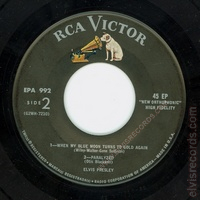 Disc: (10/1956) Black label, dog on top without horizontal line. 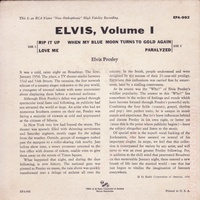 Straight "1" for Side 1. 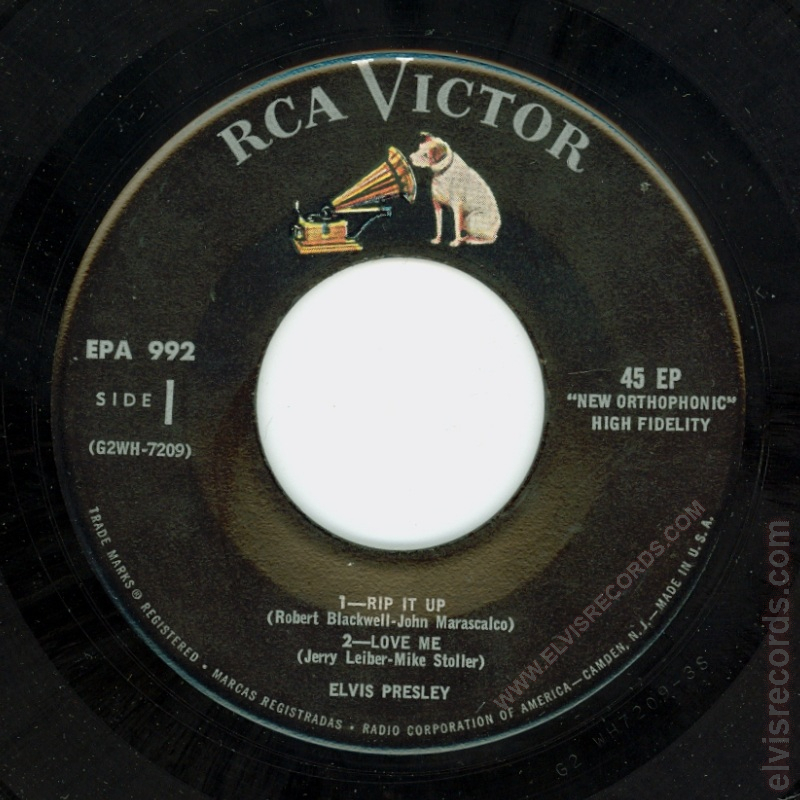 Disc: Black label, no dog on top with horizontal line. Without 45 EP on right side. 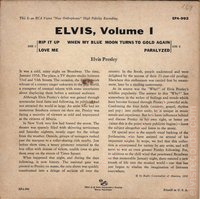 This unique copy has not been identified until December 2012. 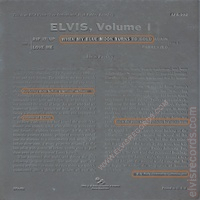 The asking price $1,499 on eBay12. 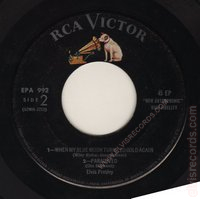 Disc: (10/1956) Black label, dog on top with horizontal line. 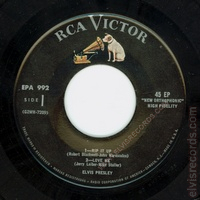 With 45 EP on right side. 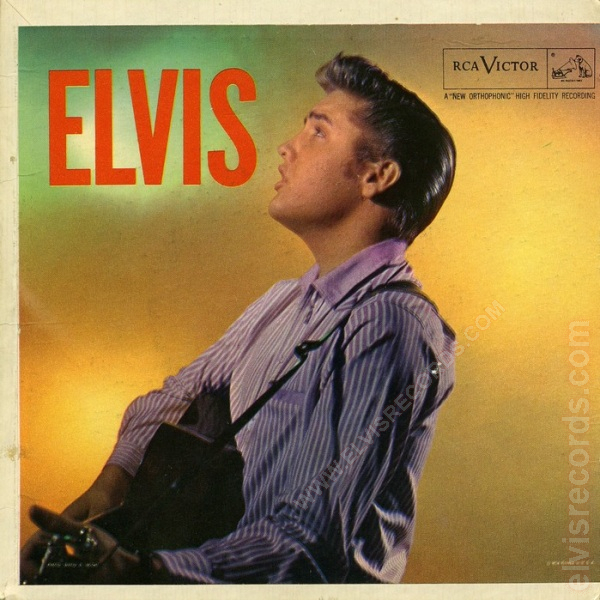 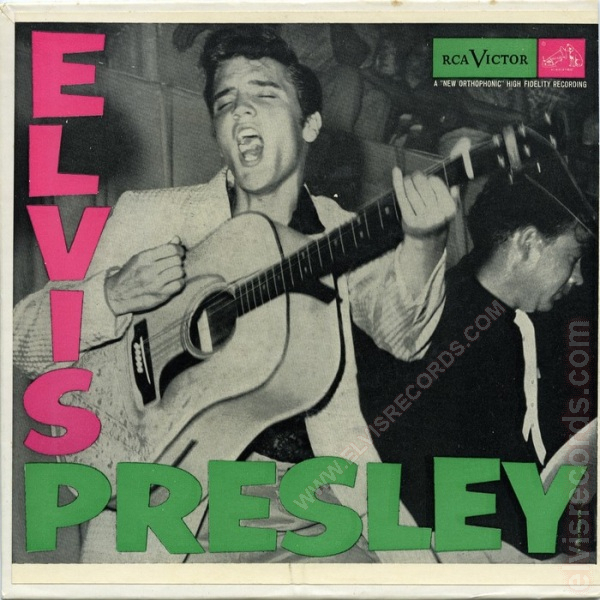 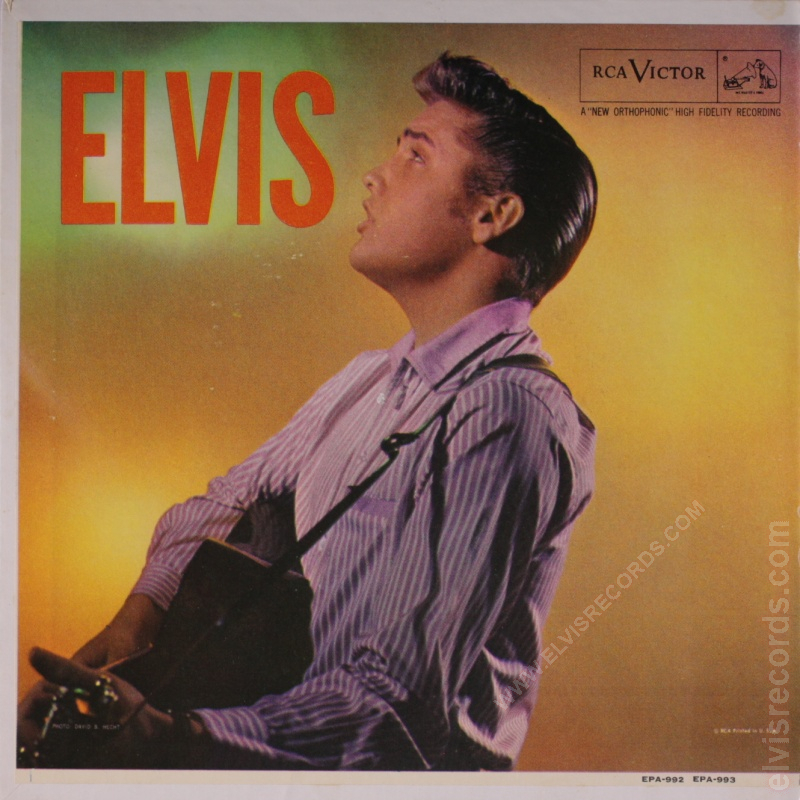 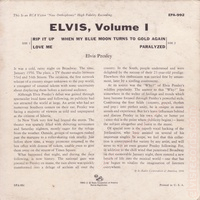 The picture sleeve front on the left is a rare alternate sleeve featuring the original cover of EPA-747. 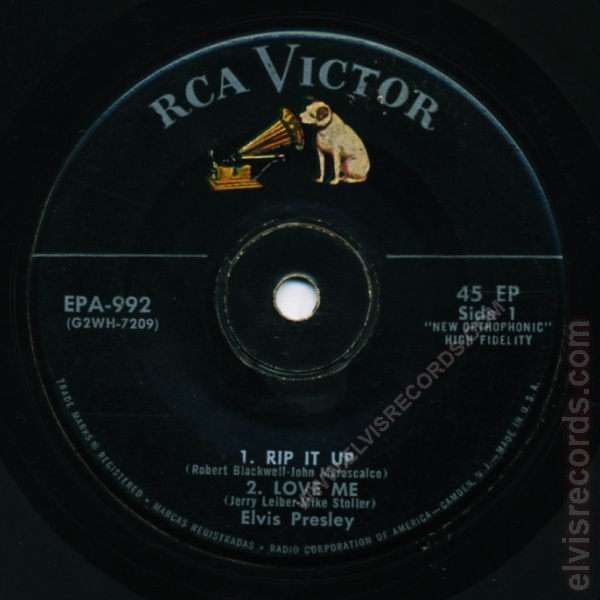 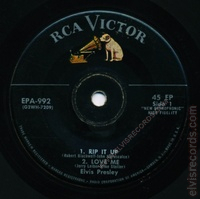 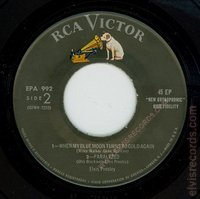 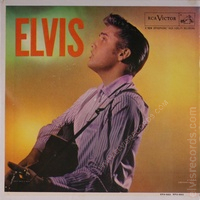 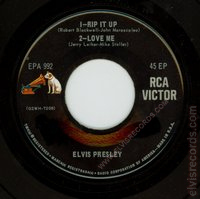 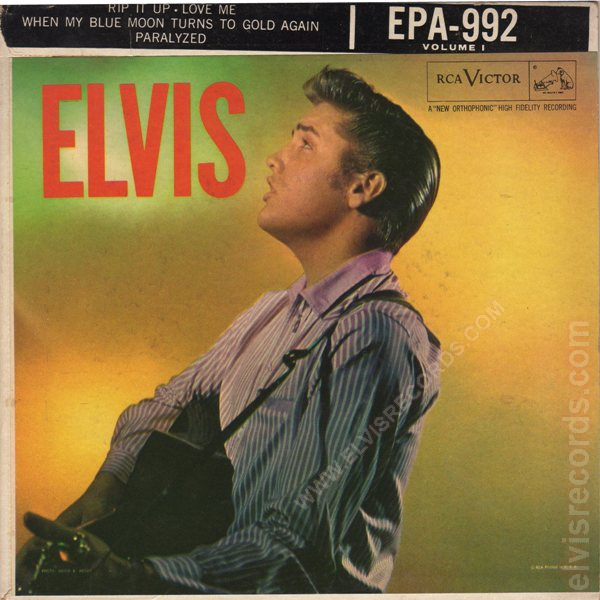 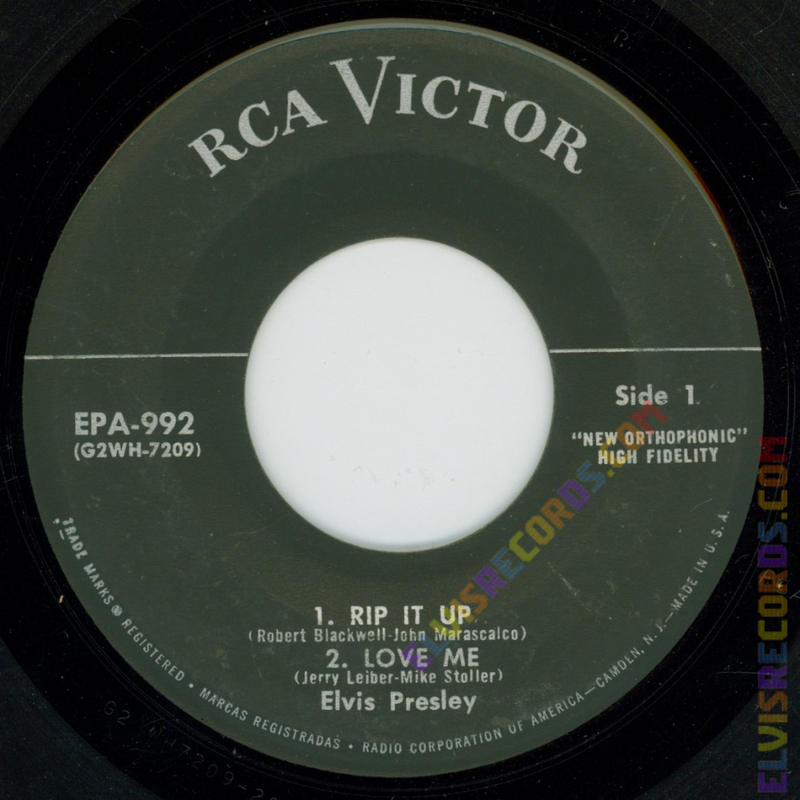 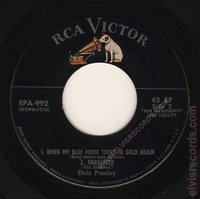 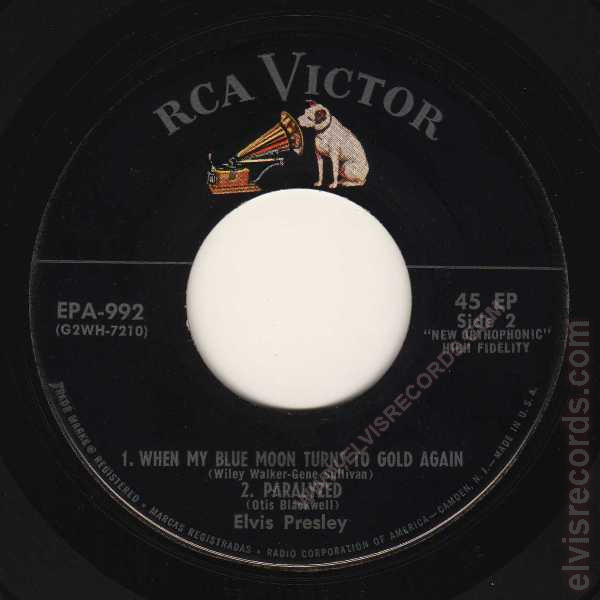 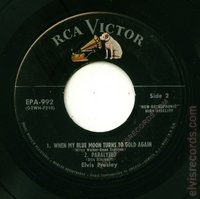 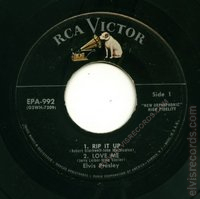 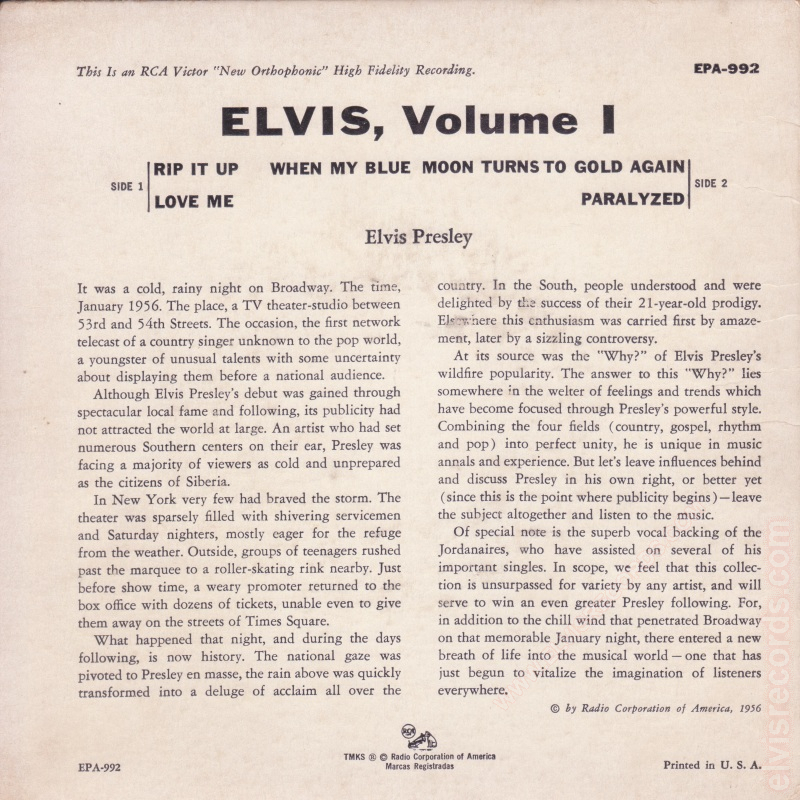 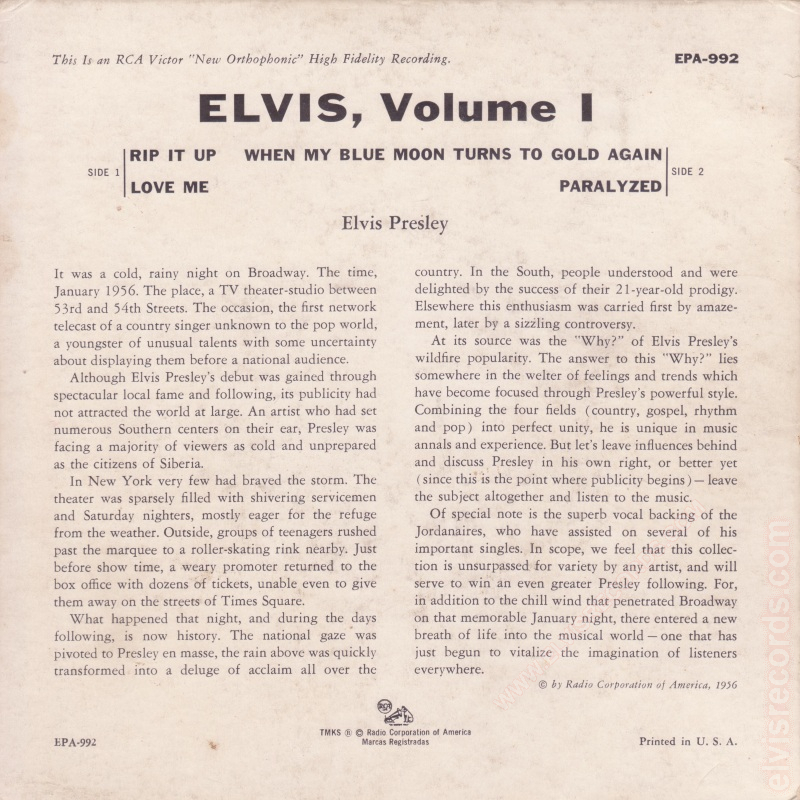 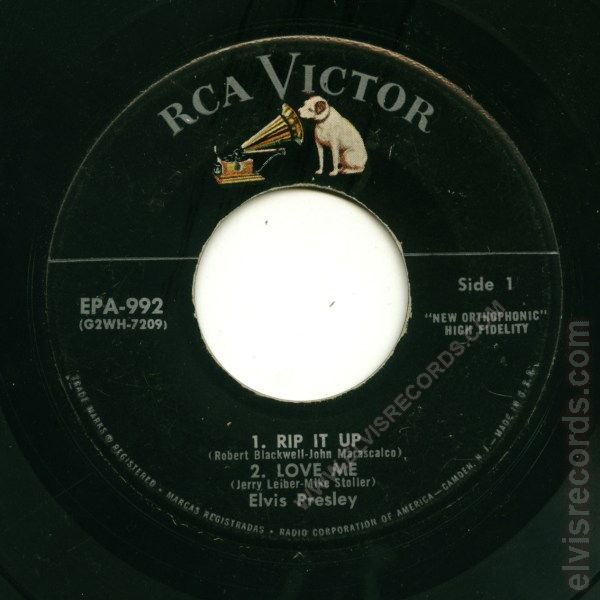 The third picture sleeve front featuring the EPA-992 EPA-993 on bottom right corner has been confirmed with the EPA-993 back19; however, is featured here as it appears to have been intended for use with the EPA-992 back.